Got so much to tell you all!! But when this is over —there will be so much more to tell!!! I don’t have time to do any blogging this morning…gotta run!!!!! This entry was posted on Thursday, October 22nd, 2009 at 6:55 am	and posted in Missions. You can follow any responses to this entry through the RSS 2.0 feed. Hope you have a great day. Can't wait to hear about your adventure. Have a super blessed time!!!! My heart is there, my spirit man is excited.. I am in a mod of expectation! Great things HE will do.. I am waiting! I am so excited, and happy for all of you sweetie. I am covering you all with many prayers, and much love. I doubt there's any joy quite so complete as the joy expressed by a group of ladies experiencing God in unity, and in unison. Bless the Lord for ministering to (and through) all of you in such a precious way. This is a sweet post. Since I'm a turtle T like Barbara B, I think the pic was for me too. 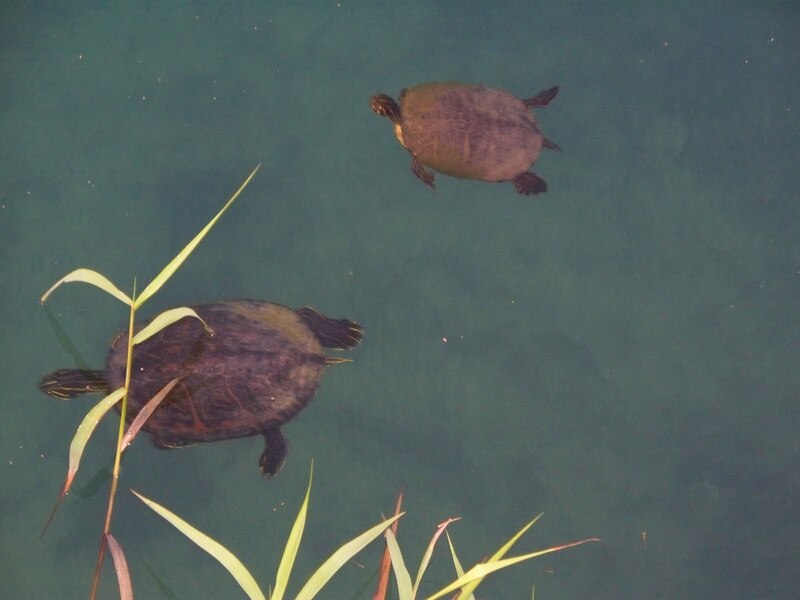 There are 2 turtles in the pic.